David Ssejinja president founder member. Robert Williams Board member Marketing coordinator. Chris Webb--- financial Advisory Board. Today, lives are changed thanks to the help of dedicated individuals like you. Your donation of time even a few dollars will help change lives. With every donation, you can choose to receive updates on the children your gift has helped and the lives it has made a difference in. Donating is easy and safe. You can donate online, by mail or sign up for our monthly sponsorship program. We also are looking for people to give of their time and talents to help with the many projects. Donations and sponsorships make a difference to children and to the communities that they live in. We are seeking support for a number of key initiatives, from building a children´s hospital and putting a roof over our community hall. To a tractor and school upgrade. We would be pleased to speak with you about which giving options might suit you or your organization best. NOTE: Our Foundation is one of few if any charitable organizations that pays NO salaries. 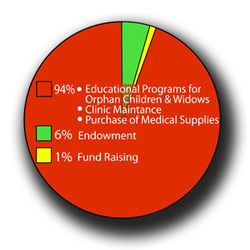 95% (plus) of all donations goes to the children and supporting programs as stated in the mission statement. 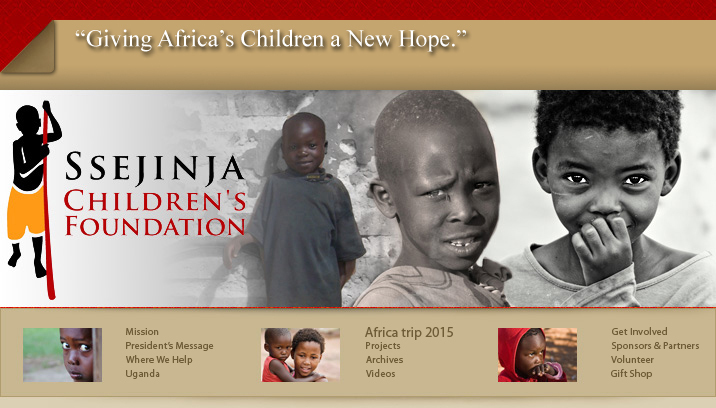 Our Foundation is run by dedicated volunteers in the USA and Uganda . Thank you everyone for your hard work and dedication!